Rainy California days always remind me of when I worked at Panera Bread for three years in college. People would flock to buy the sourdough bread bowls at Panera anytime it was raining, which meant we ran out pretty fast. If management knew it was going to rain they'd make like five times as many bread bowls. But life doesn't always go according to the books. Sometimes rain comes out of nowhere & sometimes the swarm of people was just that intense in numbers. And it was indeed intense. 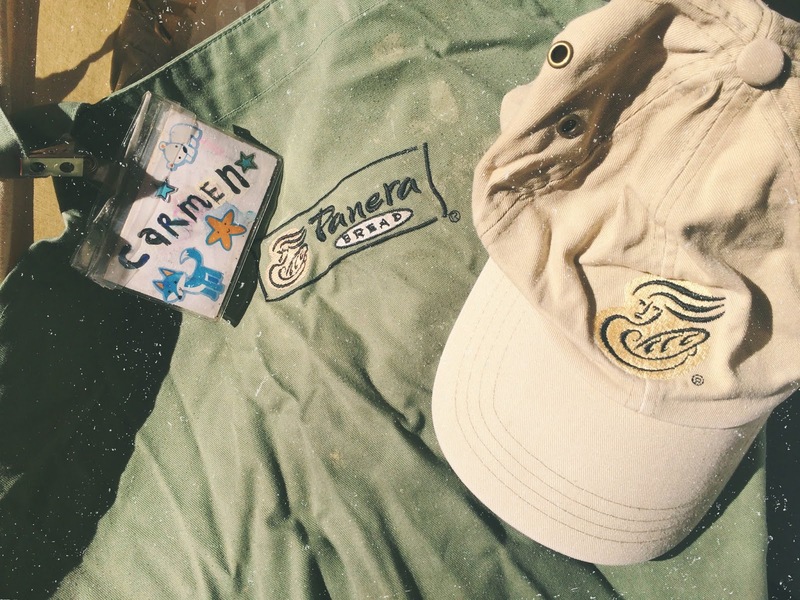 So...like I said, I'm working at Panera. It's a rainy day. We sold out of bread bowls about an hour ago. I already turned down dozens of customers. My fellow coworkers at the cash registers turned customers down dozens of customers. "No more bread bowls today. I'm sorry." "We're out of bread bowls." "No. We don't have bread bowls. We ran out." "I apologize. We don't have any more bread bowls today." There was one lady who came in. She asked for soup in a sourdough bread bowl. I told her "I'm sorry we're out of bread bowls." Most people leave it at that or make a funny (or sad) comment about how they were really looking forward to it. But this woman...she was angry. She demanded to know why we didn't have sourdough bread bowls. Where were they? I told her that a rush of people came in when it started raining & a lot of them ordered the bread bowl. We'd run out. I'm sorry. She started yelling at me & demanded to see a manager, who reiterated that there were no bread bowls. She actually wrote a letter complaining about me & how I'd ran out of bread bowls & ruined her day. In fact, she was so furious with me that my manager had to pull up the camera & look at our interaction on the security camera to investigate if I somehow provoked her or if she really went off because we simply didn't have bread bowls. Basically, the moral of the story is don’t mess with bread bowls people will kill for them or report you. Bread bowls are pure edible bliss. The people have spoken. Stay safe y'all & remember to say "thanks" to your food/retail associates because people are extra on edge when it rains. Have you tried the sourdough bread bowls at Panera? Do you have any strange food service stories? Tell me tell me tell me! Leave a comment. Oh my gosh that is so crazy! Bahaha. Sounds like this lady needs some happiness in her life. And, it entails more than just a bread bowl! Thank you for sharing dear. This is so crazy funny! wow that is an intense reaction from a customer! I really love sourdough bread, but that does seem a bit of an over reaction!! Such a funny story though!